Once an under-serviced dormitory township and battlefield of the antiapartheid struggle, Soweto in the south of Johannesburg is today a pretty and increasingly desirable residential area, with its own parks, shopping malls, museums, monuments and restaurants – and now a new state-of-the-art public library. Officially opened during the 2008 South African National Library Week, the library is part of the Arthur Ashe Tennis Centre in Jabavu. The centre was set up in early 1976 with funding from the late US tennis star, working with former South African tennis promoter Owen Williams. But a few months after the complex was opened the streets of Soweto were filled with gunfire. This was the June 16 1976 students’ uprising against apartheid. 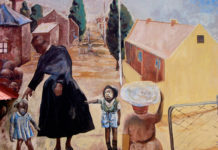 Sparked when police opened fire on children protesting against the compulsory use of Afrikaans as the medium of instruction in black schools, the uprising raged for months across South Africa and left 566 people dead. In the unrest the Arthur Ashe Tennis Centre was vandalised, afterwards falling into disrepair. Its resurrection is thanks to Bongani Zondi, a former antiapartheid activist and current City of Johannesburg ward councillor. Determined to honour Ashe’s memory, Zondi fought all attempts to sell off the land and worked to raise the R14-million (US$1.75-million) required for its upgrade, which finally began in 2005. 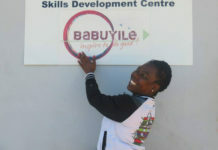 It’s largest and best-equipped library in the township, serving the Soweto suburb of Jabavu. Funding for its reconstruction came from the City of Johannesburg, Gauteng province’s Department of Public Works, mobile services provider Vodacom, and South Africa’s National Lottery Distribution Fund. The Jabavu library today is much changed from the single meagre room that opened twice a week in the 1950s, before its incorporation into the Arthur Ashe centre. 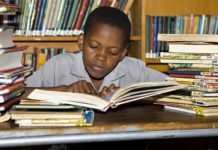 Besides the 50 000 books on offer, the people of Soweto can now use its audiovisual section, business section, study area, computers for internet browsing, and more. From May 2008 it will provide users with free internet access. Also on offer are a call centre and free courses in baking, computer skills and sewing. Plans are in place for library staff to provide literacy training to residents of the Soweto Old Age Home, just across the road. In addition to the library, the Arthur Ashe Tennis Centre has offers two football fields, a swimming pool, a skills development centre, eight tennis courts, and a clubhouse. Mobile supplier Vodacom provided sponsorship of R3.1-million through its corporate social investment arm, the Vodacom Foundation. Some R1.5-million of this went to IT equipment, as well as furniture for the rest of the library. Lockers are available for security, and the entire complex is wheelchair-friendly. 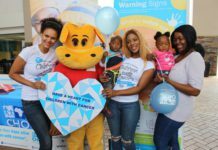 The children’s wing of the library received a R1.6-million share and can now keep youngsters entertained and educated with not only books but also charts, play tables and educational toys. Storytelling sessions presented by library staff will encourage children to visit the library frequently, while scholars will get help from librarians with their homework. “Libraries are places in which new worlds open up for the learner,” said Vodacom Foundation CEO Mthobi Tyamzashe at the opening ceremony. 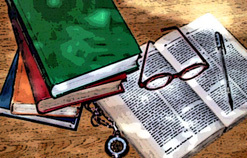 “Whether through the printed page as in traditional books, or through the vast reservoir of information that comes through the internet, a library should be cherished by the community as a place where opportunity beckons. Vodacom is thrilled that this project that has been so many years in the making has come to fruition.